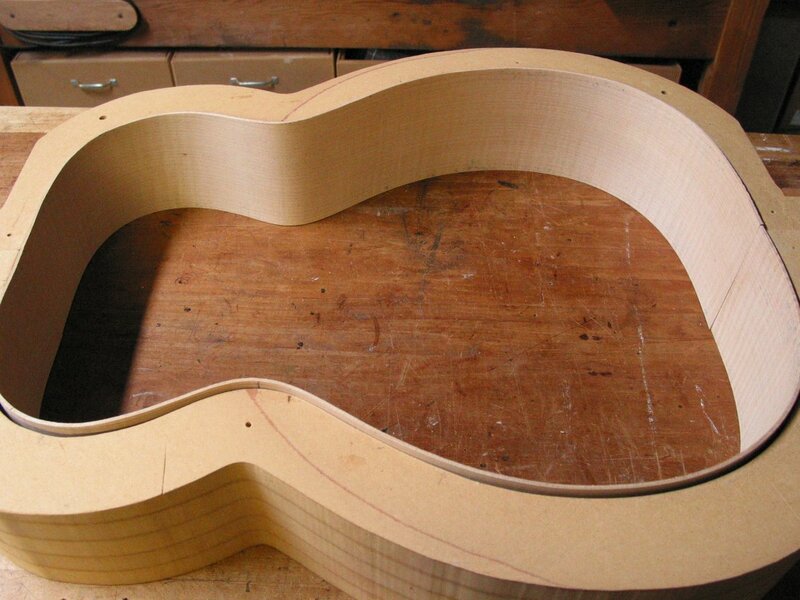 Here is one of the latest guitars I’m working on. 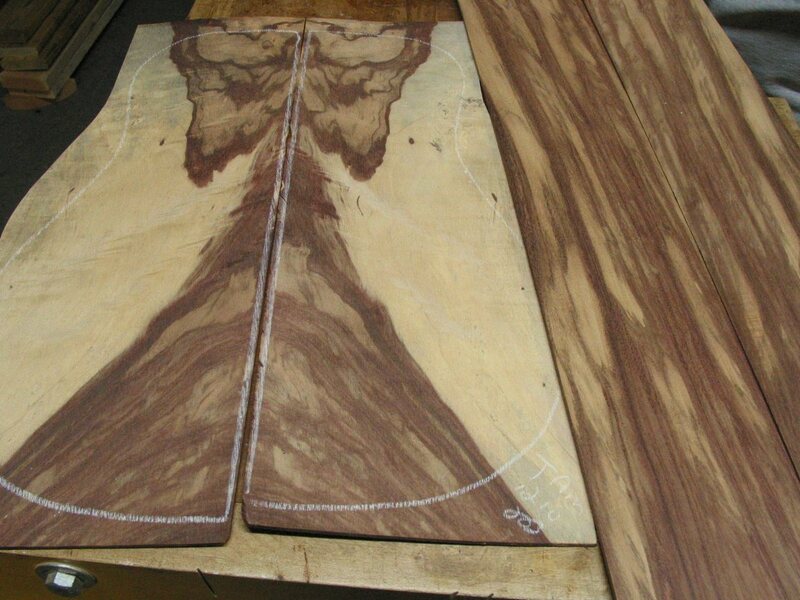 The back and sides of the guitar are spalted tamarind. 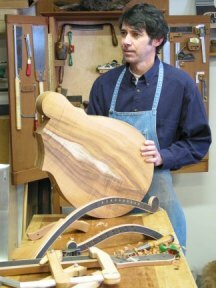 I received a custom order for a mandocello with a guitar body. 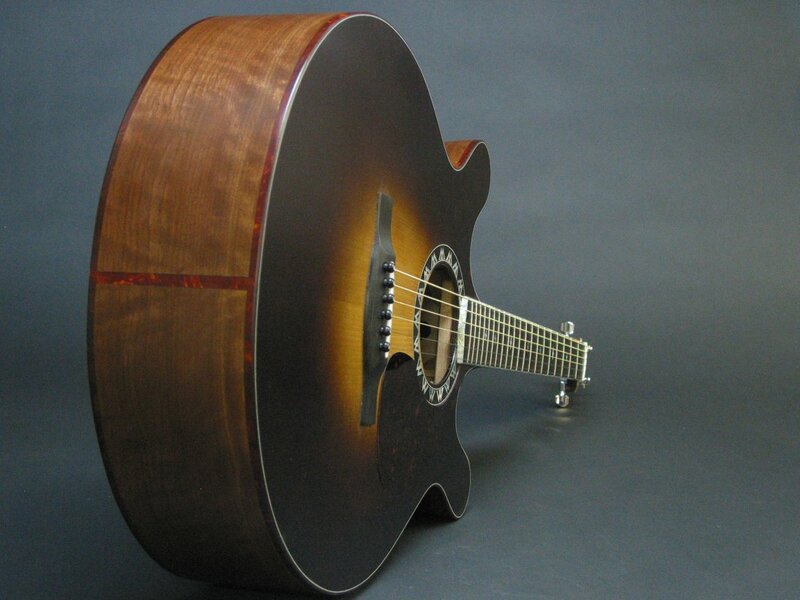 This is a truly custom guitar, a one-of-a-kind acoustic double cutaway. 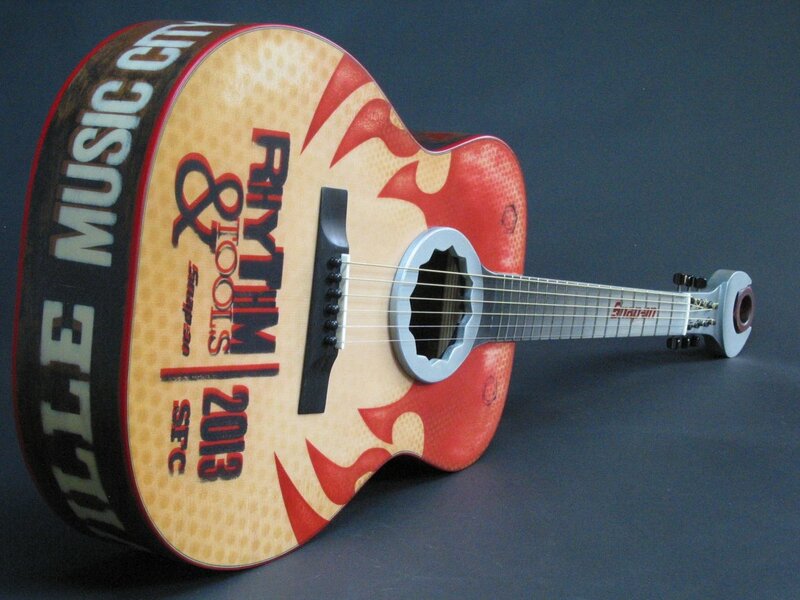 It is based on my Jumbo shape and sounds fantastic! The top is Adirondack spruce and the back and sides are curly walnut. It is currently for sale. Let me know if you have any questions about it. 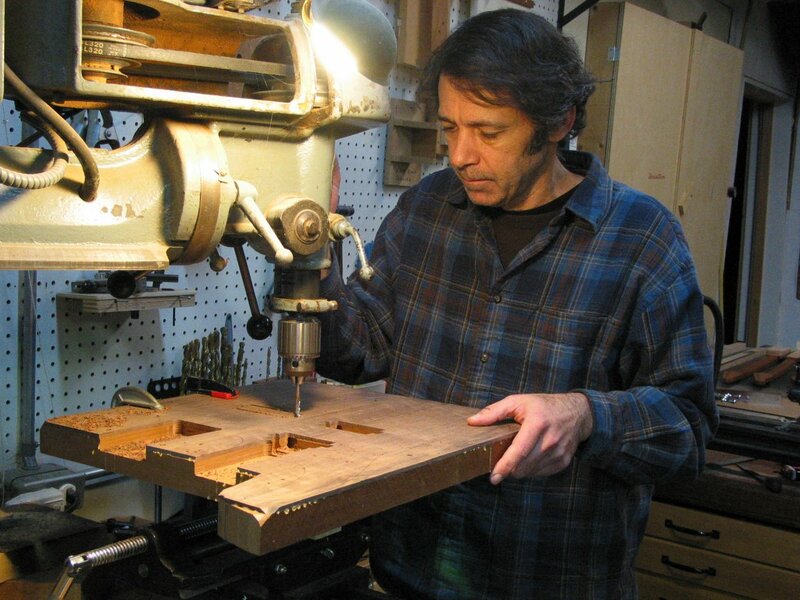 I am building a custom double neck guitar for a customer. He wants an 8 string neck and a 6 string baritone neck on the same body. Here are some photos of me building this guitar. Here’s a fun little project. 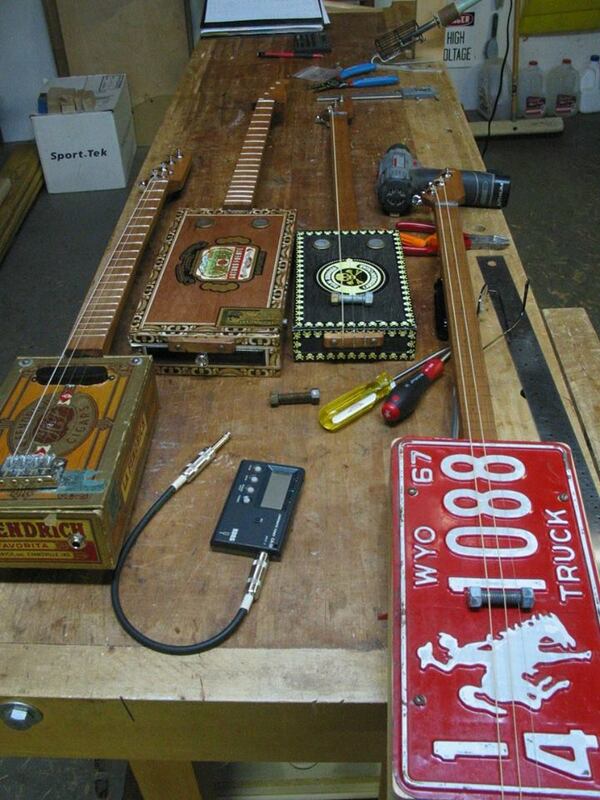 I’ve taken some cigar boxes and turned them into guitars! They sound as cool as they look!